Silsila Badalte Rishton Ka is the most TRP rating TV serial on Colors Channel. There is so much drama is going on in the Silsila Badalte Rishton Ka TV serial. On these days Silsila Badalte Rishton Ka is most loving serial. Silsila Badalte Rishton Ka is currently attracting so many viewers. There is a high-voltage drama is going in the TV serial Silsila Badalte Rishton Ka. The serial is giving so much entertainment to their audience for a long time and getting an overwhelming response from the audience. Today’s episode of Silsila Badalte Rishton Ka– Nandini’s tape recording. 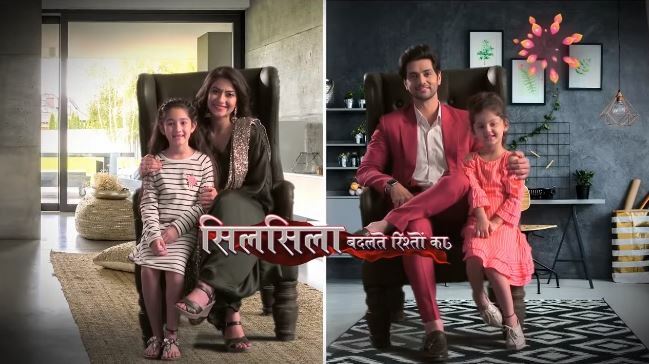 Silsila Badalte Rishton Ka written episode of 3rd December 2018, begins with Kunal has an emergency. He had to stay in the hospital. He gets a call from Pari and said that he is busy now. Pari decides to go to Mauli’s house with Aasha and forcefully takes her. Mauli and elderlies both send Mishti to park with Pramilla. Mamma said that they must give this information to Ishaan about Mishti. He was really concerned and would come over for dinner. Mauli tells the Mamma and Dida that she tried to explain the matter to Mishti but can not say how much Mishti understood. What is it clear that Mishti does not want to see Kunal’s face? She just hates him. Mamma asks what Kunal’s mistake in all this matter, he was even unaware of Mishti’s birth. Dida interrupts and calms Mauli, she said that it was a big matter and she is relieved they realized Mishti’s reaction in time. She is attacked to Ishaan and after this Mauli’s marriage with Ishaan, there would be least chances of confronting Kunal as well. Kunal comes out of OT and calls Pari. Aasha was in the car with Pari, worried that Kunal would now scold her. Upcoming of Silsila Badalte Rishton Ka 4th December 2018: Ishaan tells Kunal that they must take a drastic step and keep both girls away. Mauli aggress saying even they should not meet each other. Next articleKulfi Kumar Bajewala 4th December 2018 Written Episode Update: Is Kulfi Is The Daughter OF Tevar?